Whether your goal is to compete at the highest level, try out a new sport, or just have fun with friends, your teammates at Winchendon are going to support you in achieving--if not exceeding--your goals. Great facilities and coaches, dedicated athletic trainers, and trained fitness and conditioning experts will make sure you're on track. Recent Winchendon alumni have gone on to play for top college teams - and others have left with a passion for something that they had never tried before they got to Winchendon. Even if you are focused on a sport which isn’t available on one of our campuses, or have limited interest in team sports, we are going to make sure that you are well supported and have a great athletic experience. What's going to get your heart and lungs pumping? Winchendon will get you ready to play up. A college-level strength and conditioning program means that as a student-athlete, you’ll understand the effort and dedication of being a college athlete before you get to college. Want to Learn How Prep School Can Improve Your Game? Inquire Now. Studying and playing in NYC? Even if your “game” is in NYC, you will still have the opportunity to take advantage of the resources on the MA campus. Our athletic and college counseling departments will help guide you through NCAA rules and regulations. The NYC program offers the flexibility and full support to allow you to pursue your athletic ambitions to the highest level while living and learning in one of the greatest cities in the world. Soccer, hockey, and lacrosse – Blake played twelve seasons of sports at TWS, many of them on varsity teams. During his senior year, despite being a leader on the lax team, Blake knew it might be his last chance to try something very different. He tried out for the spring theater production, wound up with one the lead roles, and, arguably stole the show–while still enjoying a great lax season! After Winch, Blake is playing ice hockey on his way to college and likely the military. 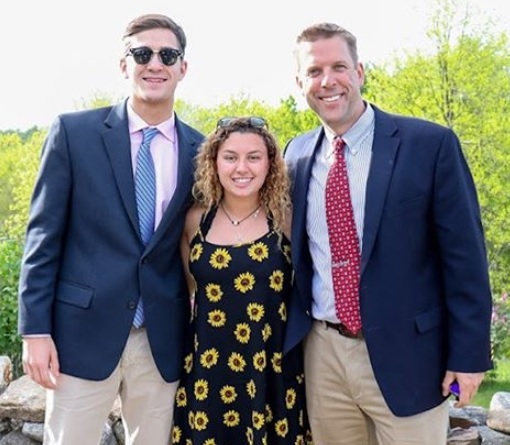 Kiley earns high honors, plays three varsity sports, captains the Girls’ Varsity Hockey team, and is the 2018 Ritchie Hockey Foundation Scholarship recipient. She looks for opportunities outside of her comfort zone: last year, friends encouraged her as she took the leap to moving beyond taking classes in vocal ensemble and jumped into Fiddler on the Roof! Curiosity about child hunger and food insecurity led Kiley to form and lead the Food Justice Service Learning Group for the 2018-2019 academic year. Nino found his way to Winchendon from Fitchburg, MA. 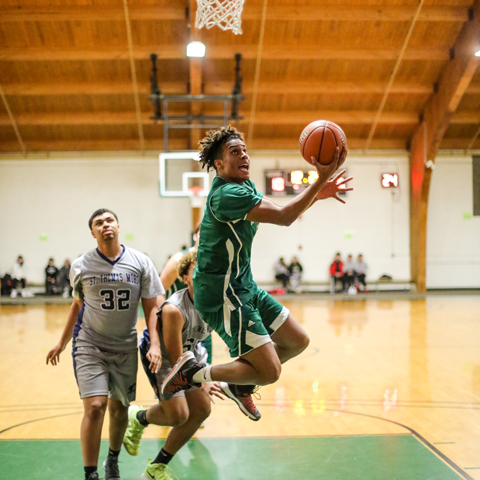 Nino thrived in the classroom and on the basketball court at Winch, becoming a powerhouse point guard and basketball captain. He co-founded the Sunnyside youth mentoring program, raising money for promising local youth athletes to visit colleges and get exposure to college coaches. Having overcome significant adversity in his life, Nino is acutely aware of the opportunities that opened up for him at TWS. He is currently attending Bryant University in Rhode Island on a full athletic scholarship. 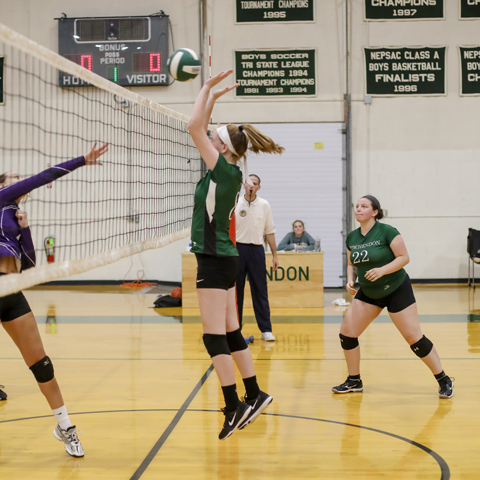 While Lauren came to Winchendon to focus on hockey, the academic program made just as much as an impact on her. She recalls: “In middle school I studied really hard but my grades didn’t really show it…at Winchendon, we had very small classes and that attention worked really well for me. 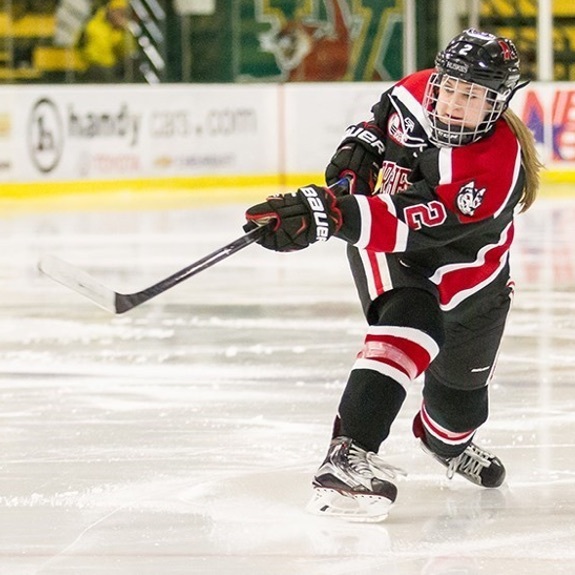 I got a phenomenal education.” In college, Lauren played hockey for Northeastern, and, this summer, was signed to the Boston Pride of the WNHL. Bryan came to Winchendon for its strong learning advocacy program and flexible schedule. Brian had been very competitive at the national level in gymnastics. 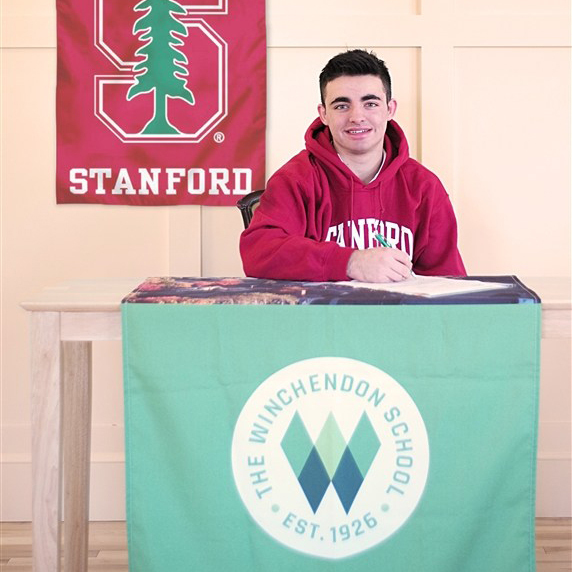 At TWS, he thrived in the academic program, further developed his entrepreneurial spirit, played baseball, and ultimately was recruited to study engineering and compete in gymnastics at Stanford University.